This extremely bare bones personal copy machine from Canon is also, unfortunately, very mediocre in almost all aspects other than its excellent paper storage capacity. When dealing with a stripped down model like this, users will have to put their detailed print demands on the side and settle for the limited output the Canon ImageCLASS D860 is capable of. The paper storage capacities for the Canon ImageCLASS D860 are very good right out of the box and, if that is something greatly appealing to a bargain shopper, then its possible one would consider looking further into the unit. Expandability options include an additional tray which would add a degree of versatility to this simple product due to the added ability to swap between three paper types without unloading current paper supplies. The other option users would be left with would a rather large 1,100 sheet supply of letter or legal sized paper. Standard paper trays include one 500 sheet cassette and an additional 100 sheet multipurpose tray that can be used either for regular paper, or special paper types including various thicknesses and sizes. Custom company letterhead, envelopes, and transparencies are all compatible with the unit, though extremely thick paper will not work with the device due to the lack of a straight through paper path. One of the other few notable features of the Canon ImageCLASS D860 is its toner saver mode option. Even though this function is apparent in almost any MFC in one way or another, it is still worth nothing that toner save can greatly reduce the overall cost per page over time. Interestingly, this device originally came with a 3 year warranty, but it is difficult to determine if Canon would still honor this exceptional coverage due to the model's discontinuation. One of the strangest things about this printer / copier in particular is that its copy speed is faster than its print speed. This is a sign of extremely poor management of internal resources as if the device is obviously physically capable of copying at a certain speed, there is no reason Canon could not have incorporated a little extra memory or faster processor to prevent literally limiting its own print speed. Copy speed for the unit is fairly slow and tops out at 18 pages per minute, while print speed lags behind at 16 pages per minute, both for letter sized paper. You would probably never see this anomaly occur in one of today's high powered multifunctional devices. 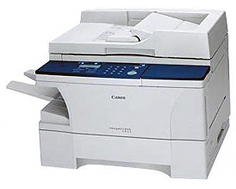 Review it: "Canon imageCLASS D860 "
Like all Canon imageCLASS printers in the D series, this unit utilizes a single cartridge system that is patented to be unlike the toner hardware that almost all other brands on the market use. 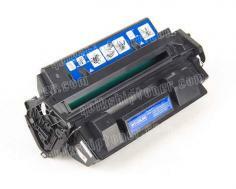 By incorporating the drum unit and toner into one, buyers receive the luxury of having only one consumable to replace. 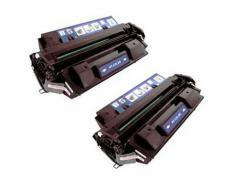 This ensures the maximum life of the toner investment, while making replacements fast and easy. 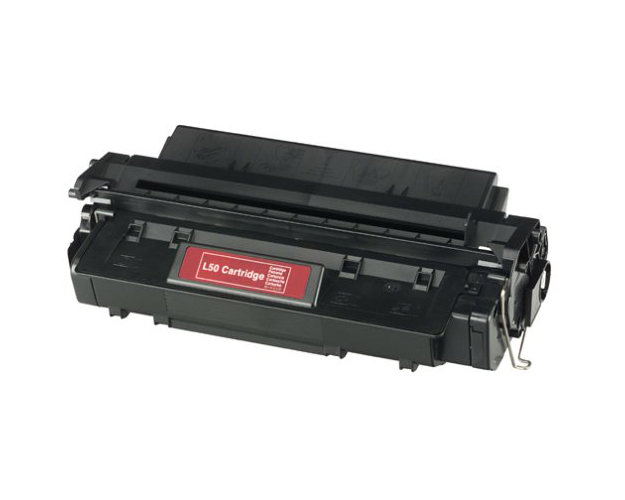 This unit runs off a fairly high yield toner cartridge capable of 5,000 sheets of print at 5% coverage.